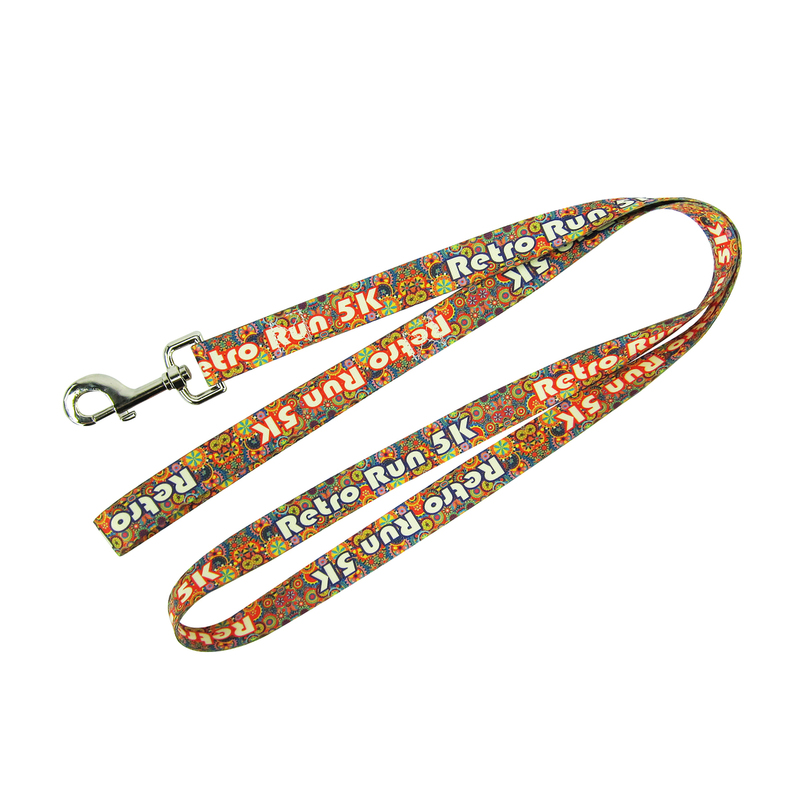 100% polyester leash has sturdy snap clip. Price includes up to 6 spot colors or full color on one or two sides on white. Item/Imprint Colors: Spot or Full Color. PMS® Color Match: No charge. Pre-Production Proof: $85(G) per proof upon request with order. Will affect production time. Spec Sample: $85(G). Please allow 6-8 days production. All design charges apply. Shipping: 3/4" Pet Leash Box Size: 11x11x11. 125/box= 23 lbs. 1" Pet Leash Box Size: 12x12x12. 125/box = 30 lbs. Individual Poly-Bag Charge: $.08(C) per item.